Construction on the GFA Federal Credit Union in Gardner, as shown on Thursday. A Massachusetts credit union will become the first financial institution in the state to offer banking services to recreational marijuana companies, a step that will allow consumers to pay for pot with plastic and helps cannabis businesses avoid the expensive and risky proposition of running all-cash operations. GFA Federal Credit Union, founded in 1938 to serve French-Canadian immigrants and headquartered in Gardner, told the Globe Thursday that it’s ready to wade into the recreational marijuana sector, following a year of research and preparations. Other banks and credit unions have so far stayed on the sidelines, calculating that it’s legally and financially risky to handle the proceeds of cannabis sales as long as the drug remains illegal at the federal level. But Tina Sbrega, GFA’s chief executive, said her credit union concluded it could legally — and profitably — provide banking services to marijuana operators, and that doing so would improve public safety. GFA will begin accepting marijuana clients by Oct. 1, offering them basic services such as cash management, checking accounts, payroll, wire transfers, and bill payments. With just over $500 million in assets, GFA is small compared to national giants such as State Street Corp. or Bank of America Corp., which measure their size in the hundreds of billions and trillions of dollars, respectively. 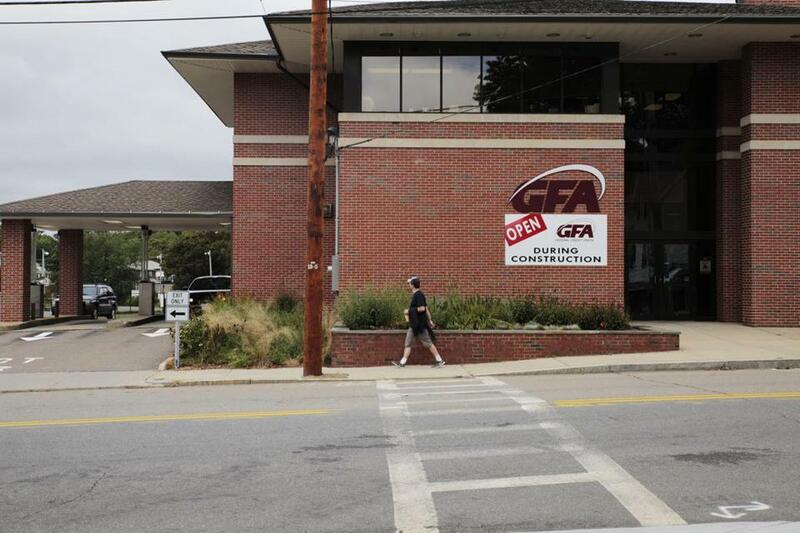 Nonetheless, its simpler portfolio and status as a federal credit union should make it easier for GFA to accept money derived from marijuana sales without inviting federal scrutiny or endangering its existing investments and clientele. To launch the new business, GFA is incorporating a new subsidiary and partnering with Safe Harbor, a Colorado-based company that contracts with financial institutions to help them vet potential cannabis clients and meet strict federal rules for handling marijuana money. For example, banks and credit unions must file “suspicious activity reports” to the US Treasury’s Financial Crimes Enforcement Network, or FinCEN, detailing every marijuana-related transaction. GFA’s move comes as a relief to many stakeholders in the cannabis industry. Companies licensed by the state to grow, process, and sell marijuana had been preparing to count and securely store large quantities of paper money — and plotting out the logistics of paying employees, vendors, and state tax-collectors in cash. Now they should be able to transfer those funds electronically, like most other businesses, and also accept debit cards from shoppers at the register. Perhaps most importantly, companies won’t need to direct workers to handle and transport large sums of cash. Laury Lucien, an attorney and entrepreneur working to start a small marijuana cultivation and retail operation in Southeastern Massachusetts, said she would “absolutely be interested” in opening an account with GFA. Steve Hoffman, the chairman of the Cannabis Control Commission, also hailed the news, saying it should alleviate concerns about crime — and encourage more entrepreneurs to enter the pot industry, in turn providing consumers with greater choice and accessibility. Hoffman met repeatedly with GFA, reassuring the credit union that the state would closely monitor the movements of marijuana products with its “seed-to-sale” tracking system and enforce stringent regulations on cannabis companies and their employees. Currently, he said, the commission is having similar conversations with several other banks and credit unions that are preparing to enter the recreational space. Even law enforcement officials who opposed marijuana legalization cheered GFA’s announcement, saying it will substantially reduce the risk of robberies. Carmichael added that banking records and regulations will make it easier for law enforcement officers and regulators to monitor the activities of licensed marijuana companies and investigate suspicious transactions — ensuring producers and retailers are paying their taxes and not diverting cannabis to the illicit market. Despite the near-universal optimism, GFA’s entry into the recreational business is not a panacea for all the challenges facing marijuana firms. For one thing, the credit union until next year will only accept a “test group” of 15 to 20 cannabis clients, meaning some businesses could still be forced to deal only in cash if other financial institutions don’t offer them banking soon. Another limitation: GFA for now will not offer loans to marijuana companies. A lack of access to institutional capital has been a key stumbling block for smaller businesses in the cannabis commission’s equity and economic empowerment programs, which are meant to promote the inclusion of those disproportionately impacted by get-tough drug laws of the past few decades. Sbrega said GFA will evaluate whether to provide loans to such firms next year. However, she emphasized that in the meantime, the credit union and Safe Harbor will not turn away smaller companies seeking checking accounts in favor of larger established operators. Currently, just one financial institution in Massachusetts — Medford-based Century Bank — provides checking accounts and other basic services to the majority of the state’s medical marijuana dispensaries. Century has not said whether it will join the recreational sector. Recreational marijuana sales in Massachusetts were supposed to begin on July 1, but have been delayed as the commission works to process license applications and inspect marijuana facilities. However, Hoffman said the commission may green-light the state’s first pot retailer at its next meeting, scheduled for Sept. 20. Correction: Due to a reporting error, an earlier version of the story misstated GFA’s charter status. The credit union is federally chartered.